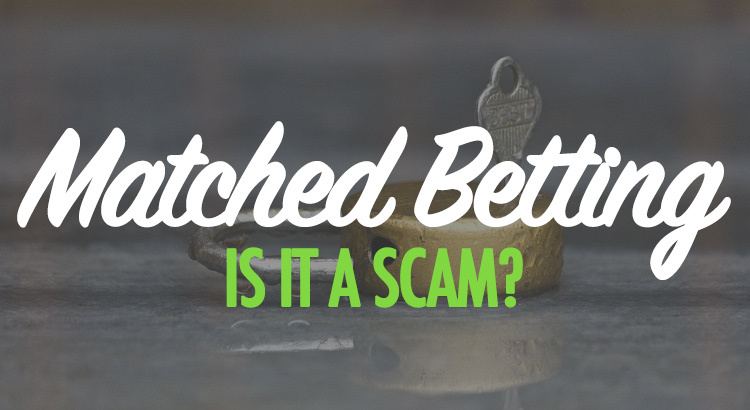 Is Matched Betting a Scam? Does it Actually Work? Everyone is skeptical of matched betting when they hear about it. We all felt exactly the same once upon a time. It’s easy to see why people would think it’s a con or a scam too: ‘risk-free’ money? “If it seems too good to be true, it probably is.” That’s what we were always taught. What’s the catch…right? There must be a catch. These are all thoughts I had before starting matched betting, and it’s what virtually every person like you is thinking or has thought too. So, is it all too good to be true? Does Matched Betting Actually Work? How Much is Matched Betting Worth as a Salary? What is the Catch with Matched Betting? It wasn’t long ago at all that I thought matched betting was a scam. My friends and family thought it was a scam too. In fact, some of my family members (particularly the older ones) still think it must be a scam even now! The older generation do make me laugh: one person even thinks I’m involved in match fixing! I first found matched betting when looking for how to make extra income online, something I’d been looking to do for years and years. I worked a typical 9-5 job and wanted a little extra on the side to help save and to improve my life. Little did I know that I would stumble across something that would earn me well over £1,000 tax-free, low-risk income every single month, just from an hour or so sat on my laptop each day. It took me a reasonable amount of time to really do the research because I was so skeptical. Back when I was starting, there was nowhere near as much information out there on this subject – I guess this very site helped in aiding the mass-market education. I won’t go into all of the ins-and-outs of how it all works here as we have a separate guide on how to do matched betting, but it really does work. Because you are covering all of the outcomes in a sporting event, you can’t lose. And okay, you can’t technically win, either. When you’re using a free bet, you are using someone else’s money (i.e. the money of that bookmaker). As soon as you have a free shot at covering one of the teams, horses, sportspersons etc., this is when very simple maths works in your favour. You can lock-in a profit as soon as you have a free bet – i.e. free money – and it’s extremely easy to see how much profit you’ll make before an event even takes place. 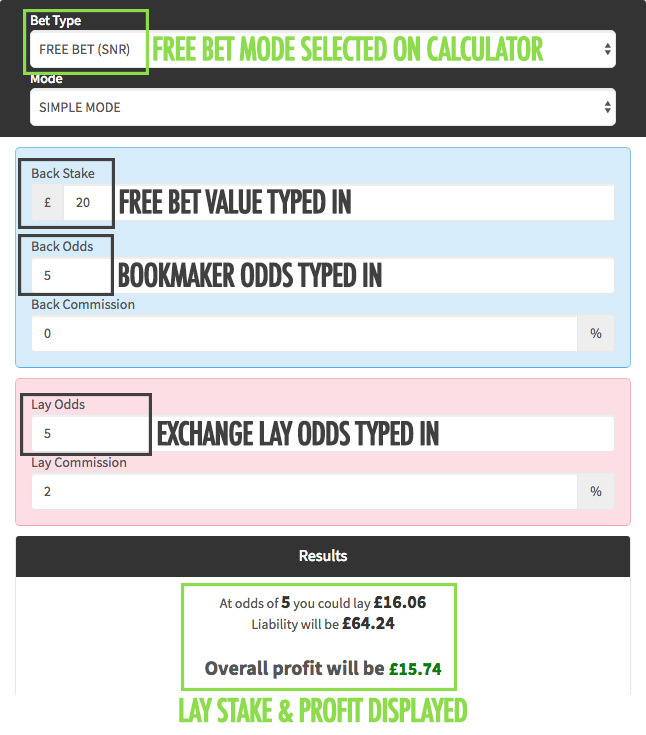 All you have to do is use a free lay bet calculator like the one we have here on the site. He refers to a free bet, because matched betting works by taking advantage of a bookmaker’s free bets (and other promotions) in order to guarantee profit. Not only is it completely legal, but bookmakers cannot refuse to give you a promotion that you are genuinely entitled to. If a bookmaker ever decides to try to play hard-ball, you can file a complaint with IBAS who will always rule in your favour as long as you are genuinely in the right. £1,000 a month is the equivalent to getting a £15,000 annual pay rise at work, assuming you fall into the 20% tax bracket that the majority of the population come under. If you’re lucky enough to have a really well-paid job that is taxed at the 40% rate, £1,000 profit a month is equivalent to a £20,000-a-year pay rise. …And that’s when only earning £1,000 profit a month. Some people earn significantly more than this. I was convinced that matched betting must be a con when I first heard of it. I debated trying out a free trial (like the one you can get through this link), but I ummed and ahhed for what felt like an eternity. A couple of friends of mine were also interested, and eventually they took the plunge. They showed me their profits after a week and I could not believe I had not tried it sooner. They earned hundreds of pounds in their first couple of weeks of learning it, and I had to get on board. With their words, and official sources like The Telegraph vouching for it, I jumped in too. You place two bets, for and against (known as a ‘lay’ bet) the same team, ensuring you qualify for a free bet without losing any money. Because you’ve backed for and against your team, you effectively break even if they win, lose or draw. Once you have been granted a free bet, you can use the same process again – but this time to guarantee yourself a profit. It sounds straightforward, and it really is. Not only is it simple, and absolutely not a scam, but it’s also completely legal and tax-free. The only catch is simple: if you abuse promotions too much, you’ll stop receiving free bets. This is a process known as being gubbed. The bookmaker will tell you about this in advance, so you’ll never lose any money if or when this happens. Fortunately, as previously proved with the quote from the William Hill spokesperson, the betting industry doesn’t actually have too much of a problem with matched betting. Bookmakers only get annoyed when you’re seeing to be taking too much value from them – i.e. generating and abusing a huge amount of free bets, with no money going back to them. There is a simple technique involved called ‘mug betting‘ which allows you to keep free bets streaming in without ever being banned from promotions, and keeps the bookies happy too. These mug bets are also laid off for a loss of just a few pence. UPDATED: We were lucky enough to interview a reader of the site who happens to be a successful matched bettor. You can read about his initial thoughts and the success he’s had in our interview with a matched bettor post. We recommend Oddsmonkey for your matched betting, and you can sign up for a free trial via this link. One things for sure: matched betting is not a scam. However, it may not be around forever so make sure you get signed up today. If you have any other concerns at all, please don’t hesitate to get in touch with us and speak to us further. We’re always happy to help other people get into matched betting and generating consistent profits. Hi there. Is this available if I live in South Africa? If you have bookmakers and betting exchanges (like Betfair) then it will work. However, I’m not aware of a service that lists the daily offers for bookmakers outside of the UK, so you’d have a bit of manual work finding the offers yourself each day. The benefit of this is that if it is available and you do put the effort in, you could make a lot of money!